The Epichorus Ensemble performs music of roots, contemporary songs based in ancient sounds; they are lineage holders of traditions from India, Egypt, Greece and Syria. 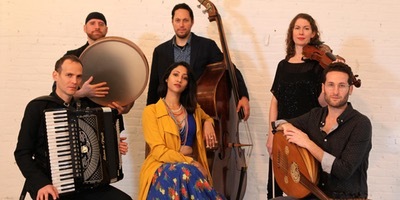 Priya Darshini, a native of Bombay serenades in sounds beyond language, moving fluidly between Hebrew, Hindi, and Aramaic, backed by oud, violin, hammered dulcimer, percussion and bass. Come ready to be transported by ethereal music reminiscent of a loftier home.